Filming at the Bella Vista for the Thought Leaders of San Diego series! 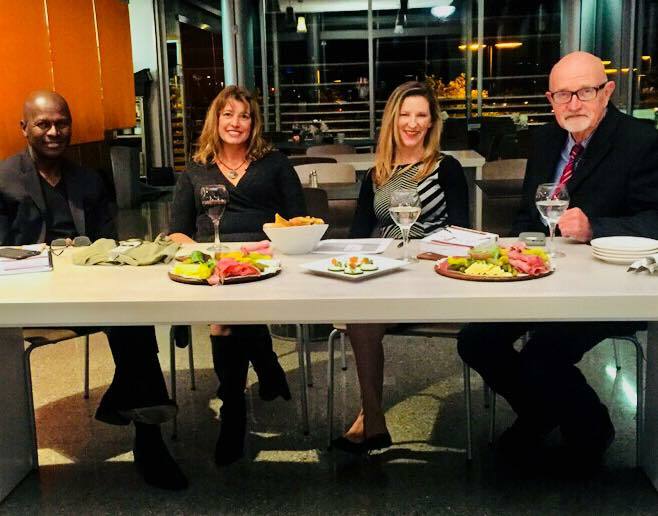 So much fun being interviewed by author Alexis Dixon, UCSD STEM media producer Steve Chapple, and Bella Vista owner Amanda Gerson Caniglia for this series on thought leaders of San Diego. Great conversation. I really can't wait to see it!